This level have normal difficulty and you need to use a good technique to complete this level. For this level you should try to break the blockers that are in center first. After try to make colorbomb that you could make by combining five same color candies. After try to combine colorbomb with striped candy to break blockers and then jellies. 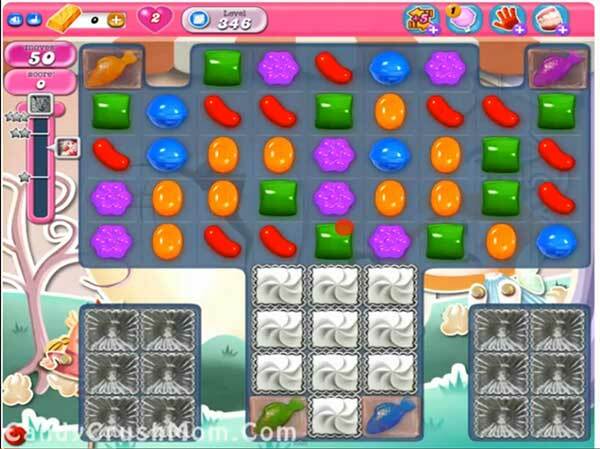 Try to play more near to jellies to break them using striped candy or normal candy. We completed this level with 123160 score using the above strategy and got three star score at the end of the level.